A huge fire started on 66th Street and 1st Avenue in New York, witnesses reported, posting pictures of the blaze on Twitter. Locals tweet that a newly-renovated Dunkin’ Donuts was located in the building. Firefighters managed to put out the blaze that started at the sixth floor of a residential building. Flames could be seen coming out of the top floors. No possible causes of the fire have yet been given, or any information as to casualties. Another #nycfire on #UES tonight. Much respect to the #FDNY tonight for battling another building fire. The Fire Department used at least two large cherry-pickers to get the firefighters closer to the blaze and eventually managed to get it under control, after blasting thousands of gallons of water to put out the fire. A massive fire tore through several buildings in New York City's East Village on Thursday, leaving at least 19 people injured, four of them in a critical condition. 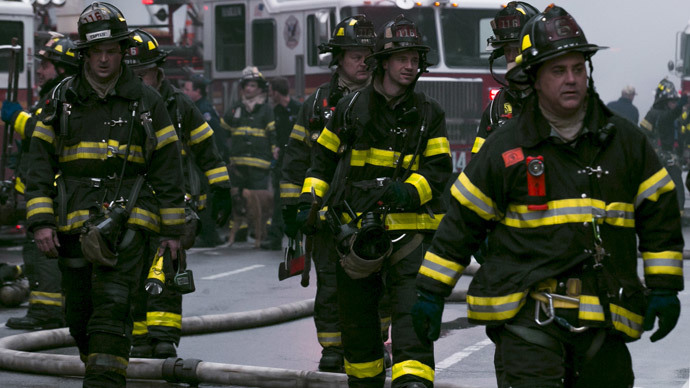 More than 200 New York firefighters arrived at the scene to tackle the blaze. It was thought to have been caused by a gas-related explosion that started at 121 2nd Avenue, though an investigation is still ongoing.